Kaizer Chiefs have appealed against an order from the Premier Soccer League instructing them to play three home matches behind closed doors (with one suspended). 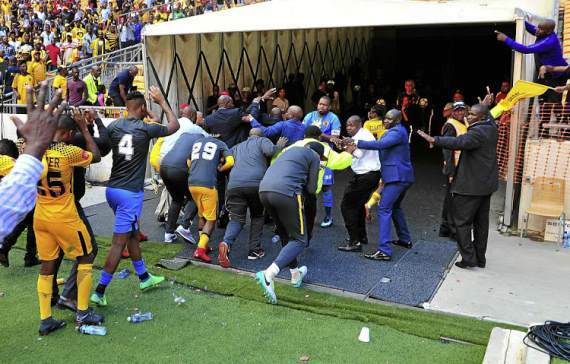 Amakhosi were handed the ban on their 'home' fixtures in KwaZulu-Natal as a result of fan violence at the Moses Mabhida Stadium during their Nedbank Cup semi-final defeat to Free State Stars last season. The third match of the ban is suspended for a period of 24 months, provided they do not repeat the offence. "We are waiting for the PSL to come back us," Chiefs football manager Bobby Motaung told Independent Media. "For now, we can't be encouraging fans to buy tickets for our clash against Polokwane City. There's an appeal process and we have to wait for that process to take place." The Glamour Boys are scheduled to face Rise and Shine at the Moses Mabhida Stadium on October 6. Prior to Motaung's revelation, stadium manager Vusi Mazibuko had urged supporters to buy tickets for the Premiership encounter. "Tickets for that game are on sale. We are still discussing the PSL decision with Chiefs. We have the game on October 6 and people can buy tickets," Mazibuko said.